Welcome to a special Warriors World Q+A where members of the WW team discuss the Warriors’ record 16-0 start to the 2015-16 season. What (if any) significance should the 16-0 start have? Danny Leroux (@DannyLeroux): It gives this team another element of legitimacy which they should have never needed in the first place. The Warriors were the best team in the regular season last year and won the title without playing in a Game Seven but there were still doubters. There should not be any now. Sheed (@warriorsworld): It’s a dope accomplishment. Any time you set an NBA record (for a positive accomplishment) you should feel honored and proud. The Warriors are on an incredible run and each win should be valued by everyone involved. 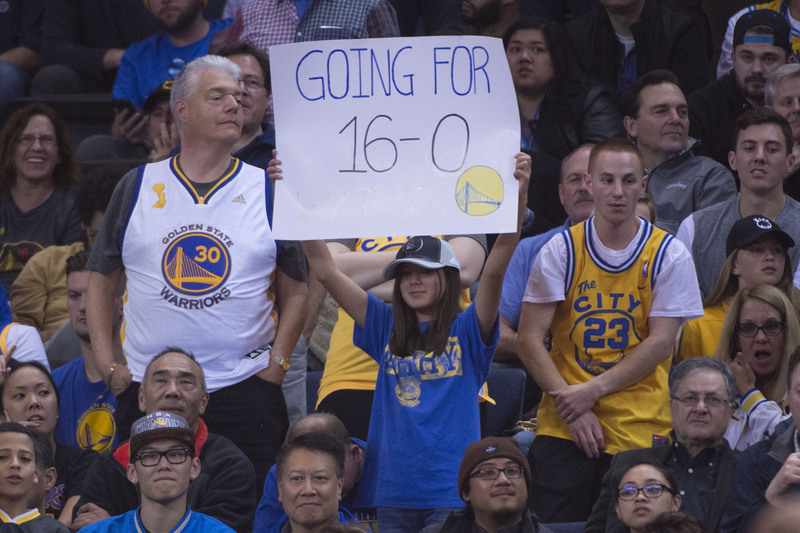 Warriors fans deserve these wins for the lifetime worth of losses they have endured for the past two decades. Jordan Ramirez (@JRAM_91): The 16-0 start reassures everybody that last season was not lucky, was not a fluke and this is indeed one of the best teams this league has ever seen. The start and additional history made is nice but there are bigger goals for this organization. 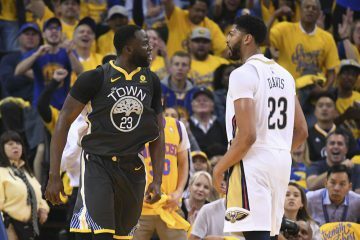 The start is another sign that the days of old are also long gone, and with Jason Richardson in town on Tuesday night, there was an interesting dynamic between old and new era Warriors. An incredible, welcome contrast. Even without Steve Kerr on the sidelines, the team and everyone in that building knows this squad has much bigger things on their mind. Jim Del Favero (@SiliconPM): I don’t think it should have much significance for the fans. 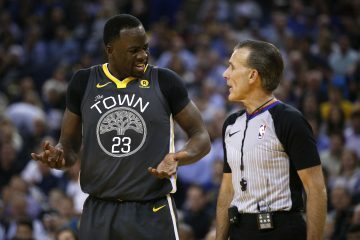 I think it is a wake up call to the league that the Warriors are not resting on their laurels and after all of the off-season talk about their health, luck and not having to face the Spurs or the Clippers. The Warriors have shown that even with the intensity of other teams in west gunning for them, they are going for a repeat. 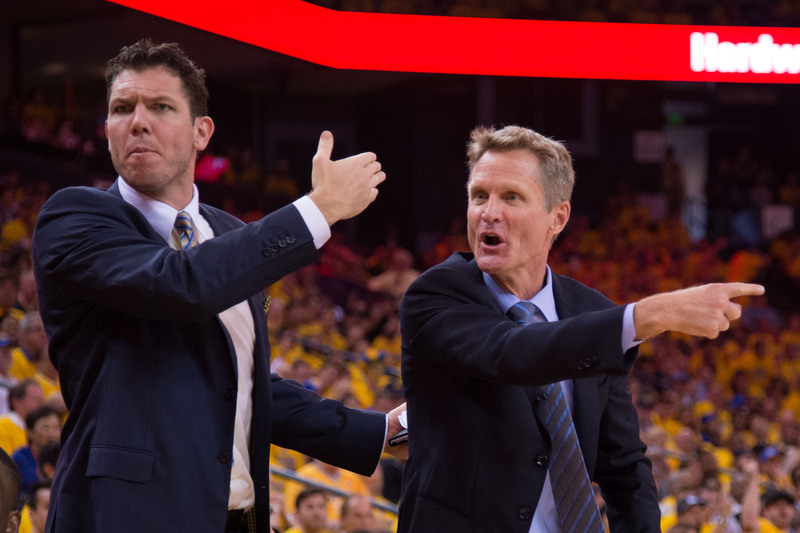 Do you have any issue with these wins/accolades going to Steve Kerr instead of Luke Walton? Danny Leroux (@DannyLeroux): The only one that would be weird to me is what happens with something like Coach of the Month. I am 100% fine with these wins going to Kerr since he is involved and this is his coaching staff. However, he should not win Coach of the Month for November considering he presumably will not be on the sideline at all. Sheed (@warriorsworld): No issue at all. Walton is going to garner lots of attention in the offseason for head coaching gigs which probably does not happen if Kerr doesn’t miss any games. Win-win for Walton, the greatest substitute teacher of all-time. Jordan Ramirez (@JRAM_91): Not at all. The league is the most progressive of the major sports, and sure, it would be nice if Luke Walton got some historical recognition for his achievements early on. Walton has held the fort more than adequately but he is also not doing anything revolutionary in his time as interim head coach. The rule itself is odd but there has also never been a situation like this to make the rule seem as foolish as it does now. No one in the organization will forget Walton’s time as interim HC and he will get the due credit from the people that matter most. Also, if the Kerr/Walton duo win Coach of the Year, I’m sure it will hold a nice spot in the Walton residence. Jim Del Favero (@SiliconPM): Luke is getting a chance to learn the head coaching position on a great team, with an excellent staff, in return, his wins go to Steve Kerr. Fair trade-off in my opinion since he is building off of the championship work Steve did last year. Jesse Taylor (@JesseTaylor74): It is a little odd but I do not really care. The only way it ever matters is if Walton becomes a great NBA head coach for a long period of time and these wins are held against him as he moves up the all-time coaching ranks for wins. If he finishes just shy of Don Nelson’s all-time win mark, then there is a solid case to re-evaluate this rule. In the meantime, Luke is getting great exposure and training for his next career move, which is either an NBA head coach or one of the surfer dude turtle voices in Finding Nemo 2. 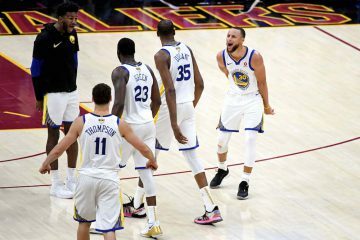 If the Warriors do not win the championship this season, how insane will it make you when people blame the record start? Danny Leroux (@DannyLeroux): The hot takes will be the hot takes. I would hope to leave them be and suffer in silence. Jordan Ramirez (@JRAM_91): If they do not win a championship it will not be because of the record start, it will be because of a catastrophic injury or they simply were outplayed. Anyone blaming Walton or the team for chasing a record in November on a May/June series loss is blasphemous. Minutes are being well-managed despite the record as there have been plenty of blowout wins during this stretch. It is not like the core is playing a ton of stressful minutes — a la the Clippers or Bulls games — and the training staff has been quietly phenomenal and keeping this team fresh. Jim Del Favero (@SiliconPM): Those people would be insane so I would just ignore them. Plenty of season left, they have to stay healthy and of course avoid the Spurs, Clippers, and hope the Cavaliers don’t stay healthy. 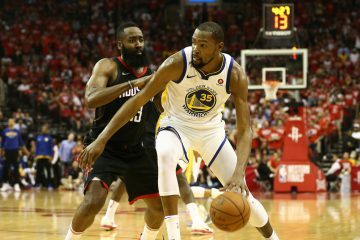 Jesse Taylor (@JesseTaylor74): People have already played out the narrative for reasons why the Warriors were lucky to win a title, so it really will not matter what they say if the Warriors do not win a title this year. Nothing is guaranteed in sports, otherwise gambling would not be a thing. You play to win. The Warriors are winning and doing so smartly. Just like last season. What is your best guess for when the streak stops? Danny Leroux (@DannyLeroux): I was thinking about Friday’s game at Phoenix but Eric Bledsoe missing the Spurs game due to knee soreness (which could be OK now) gives me pause. I was then going to go with one of the franchises that beat the 72-win Bulls: the Toronto Raptors (on 12/5) before seeing this. Now I’ll say the Pacers on 12/9. Sheed (@warriorsworld): It stops on this upcoming roadie… at Utah or at Charlotte. Jordan Ramirez (@JRAM_91): The team has a seven game roadie starting 11/30. If they get past the Raptors on 12/4 (Saturday), their next toughest is the following Tuesday in Indiana against a revitalized Pacers quad led by Paul George. I’m going to say they take their first loss in Toronto in a Kyle Lowry revenge game of sorts. Jim Del Favero (@SiliconPM): I have a bad feeling about the Suns game this week. 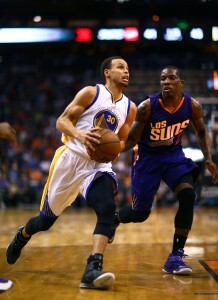 The Suns are a young team and I think that it will be a tough game. If they can get past the Suns then I think it ends against Indiana on Dec 8th. Jesse Taylor (@JesseTaylor74): When the Warriors lose, it will most likely be due to them beating themselves and receiving off nights from too many key players. Until they play the Cavs on Christmas, none of their opponents are capable of beating the Warriors unless the Warriors play poorly. Fatigue and a lack of focus will be the cause of the Warriors playing poorly, so back-to-back games are the areas to watch on the schedule for a letdown game. I would love to see them at 31-0 going into the New Year’s Eve game in Houston but that just seems ridiculous. But screw it, this team is ridiculous. I predict their first loss will be to Harden and the Rockets, giving them a 31-1 start to the season. 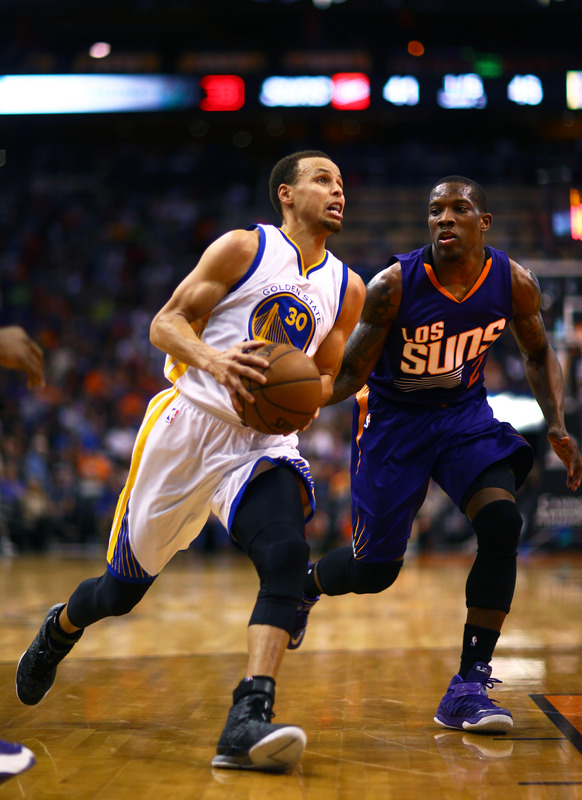 Which means, based on my ability to predict, the Warriors are going to lose to the Suns this Friday to fall to 16-1. 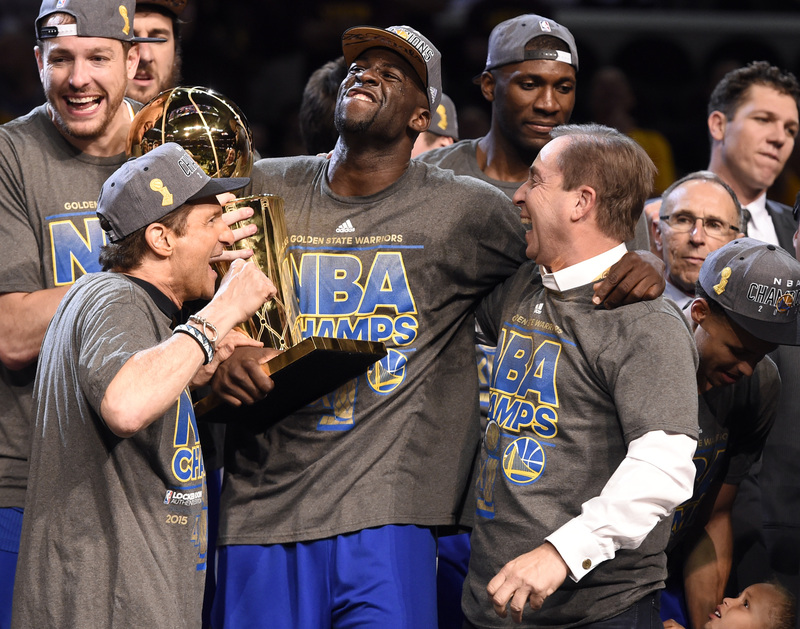 Thanks for reading- we will keep doing Warriors World Q+A’s regularly throughout the 2015-16 season.